Hi! 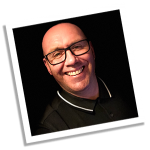 My name is Colin Miller I have worked within the London graphic/web design industry for many years, my portfolio contains many blue-chip brands, along with plenty of small local businesses. Here is a selection of design agencies, projects, clients and brands that I have been involved with since starting out in 1983. As you can see my experience is vast. I have worked with many of the top London based design agencies and of course independently too. I have just left a permanent role at Deutsche Bank, who I worked with for ten years. Solid graphic design expertise for both digital and print. I also offer a full range of web and app development skills. along with user experience knowledge (UX) and GDPR consulting. First impressions, you’ve heard it before, graphic design is used everywhere, from elegant business cards and stationary right through to full colour glossy brochures, product packaging, web and app design. Clever and consistent brand design will set your business apart from the rest. I offer a full range of graphic design services. In 1997 I took a big leap into web design as I found myself in the midst of the internet revolution. I have designed and built literally hundreds of websites over the years. My skillset has enabled me to create everything from small business websites to large business portals. All with the user experience (UX) in mind and of course search engine optimisation (SEO). I offer a full range of solutions, starting with high end bespoke design, right through options, such as WordPress. 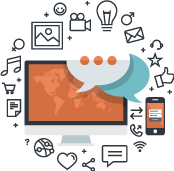 User experience is the way that visitors FEEL when navigating through your website or app. If the user is having a bad experience using your product, then they are probably going to feel like they are having a bad day. Overlooking user experience can be disastrous for your business. UI is focused on the design of every part of product the user interacts with. How clear are your graphics? How legible is the text and copy on the product? How easy is it to click or tap on your submit button? The layout, the way a product looks and feels, the way it is navigated. UX is focused on less tangible aspects of your product, such as how easy it is to scan through it with your eyes, how obvious it is what to do next, and how well the product functions on mobile. On an even deeper level, UX is focused on the entire customer experience when dealing with your business, in general. UX is less about ‘look and feel’ but more about the overall experience a user has. Good UI is intricately interwoven with solid UX principles to make the experience a good one for the user. It’s a fact that growing your followers on social media will help you increase word of mouth and referrals. After all, there is nothing better than a personal recommendation right? I can help you set up and manage a solid social media campaign that will create a strong connection with your audience, increase engagement by encouraging ‘likes’ and ‘comments, develop brand awareness and relationships with your customers. Stay ahead of the game and get in touch with me. Do you run a design company? Creative agency? I offer art direction, creative direction and graphic production for print and digital media. I can work with your team to inspire ideas and develop concepts through to visuals and prototypes. Whether it’s creative input, fine tuning typography, colour psychology, layout aesthetics or photoshop retouching and visualising… I have had the pleasure to be a part of a number of notable marketing campaigns for leading international brands. Get in touch, let’s work together! A logo speaks a thousand words and in this day and age, where it could be used across print, social media, web, vehicle livery, It should be instantly recognisable and reflect your business. Your branding should inspire confidence, be impactful and professional. Contact me today and stand out from the crowd. Let's Start Something new Say Hello! Fill out the form below to get in contact with me and let's get the ball rolling!